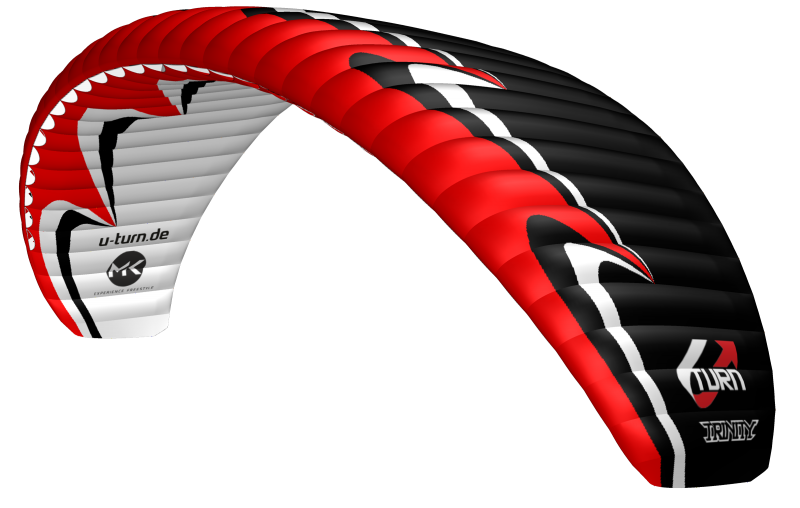 Freestyle soaring on strong wind coast lines, wagga ground training or alpine adventures, the TRINITY redefines dynamic. The mini-wing presents inexhaustible possibilities with concentrated power for the game forms between freestyle and carving – built for playful moments full of agility. The fun-wing was developed in cooperation with the groundhandling expert Mike Küng and realized according to his ideal prospects. 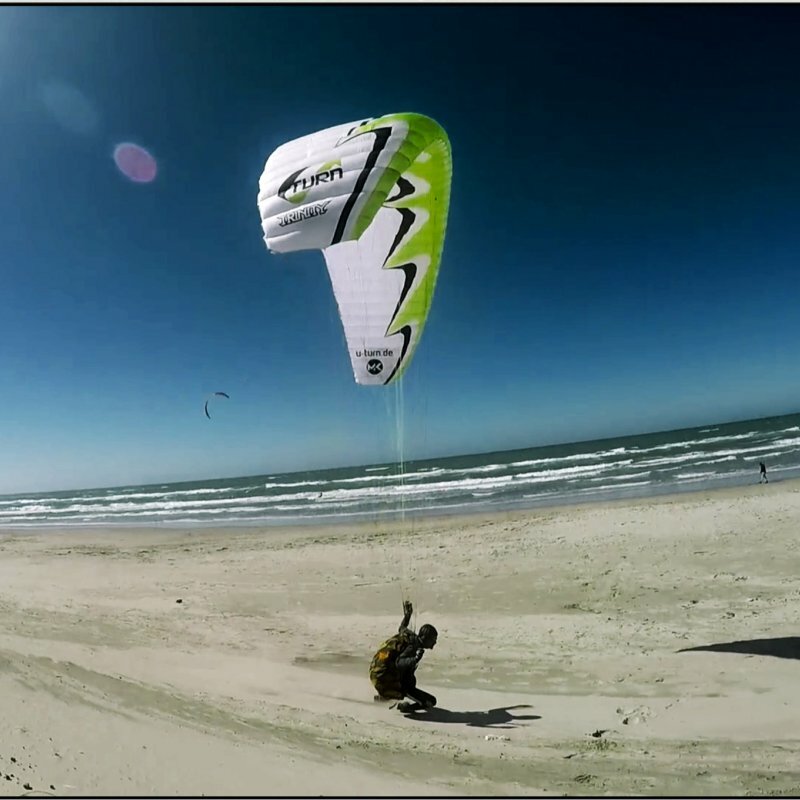 It is idle to introduce the exceptional athlete Mike Küng – the groundhandling luminary is doubtlessly the number one when it comes to the near-ground game with the elements. Mike is a tireless perfectionist and helped introduce groundhandling to the performing public. He is also a perfectionist when it comes to his demands toward his equipment. Therefore when optimizing the TRINITY he was accordingly uncompromising. What emerged is a wing that carries the authentic DNA by U-Turn and will take the definition ‘mini-wing’ to a whole new level. 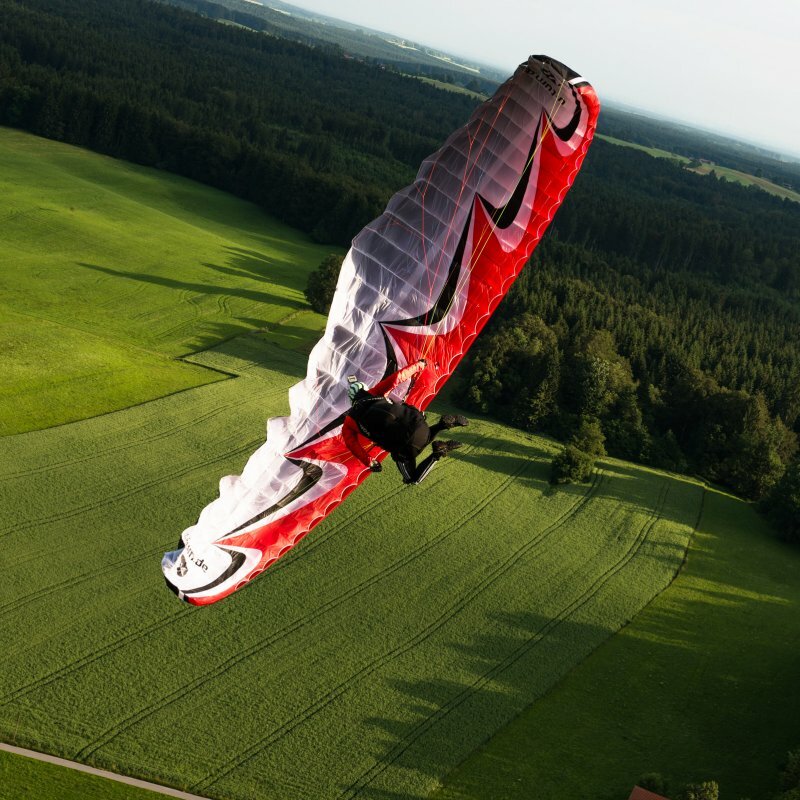 The TRINITY is a real all-rounder and is convincing as freestyle glider, when soaring in strong wind, as ground trainer as well as during alpine adventures. The compact wing reacts very sensitive to control pulses and transforms them directly and instantly. With increasing use of the brakes, high turns are easily put into action. Despite the little surface area the TRINITY offers outstanding performance capability with very good rising features which especially and literally comes into effect during soaring. When in thermal lift the exact handling of the glider in combination with its good will to turn provides unlimited flying pleasure. 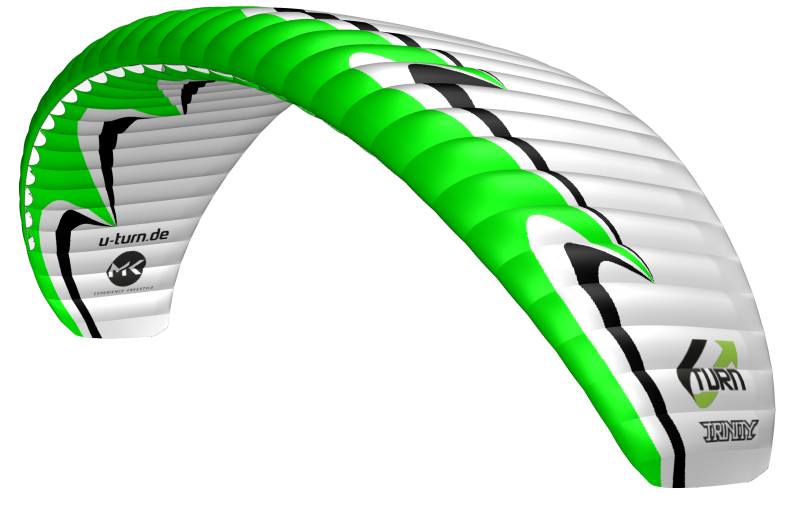 The high area load gives the wing a compact dynamic with smoothness, nevertheless the reactions are surprisingly soft. The small pack size and weight are not just making the TRINITY an indispensable fun machine for every opportunity, but in combination with the outstanding flying features also a reliable companion for alpine adventures. Especially in competitions like the RedBull Dolomitenmann the wing is completely in its element. Of course the ground trainer and fun wing can be started very easily and effortlessly, so especially in difficult alpine conditions and in competitions that poses a big plus. The TRINITY is a multi-talent and aimed at all pilots who are looking for the dynamic game with the elements. 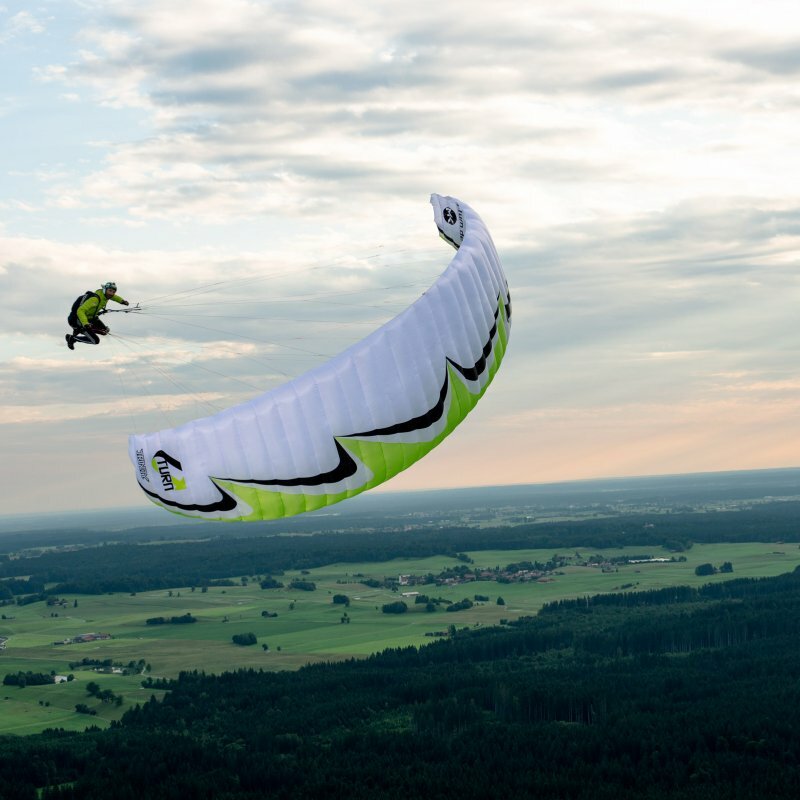 As freestyle wing, ground trainer and strong wind mini-wing – the compact wing offers maximal flying pleasure between agility and performance packed onto the smallest possible size. Chief designer Ernst Strobl developed a wing profile that combines glide features full of drive with dynamics. Elaborate calculations of the High Pressure Crossport Design (HPCD) are not only causing a weight reduction but also maximize the lateral aeration of the crossports. It gives the wing a balanced internal pressure and provides a fast pressure build-up. The optimized pre-tensioning of the wing and the Precision Profile Nose System (PPN) are providing an ideal flow around the profile. Miniribs and the Brake Gathering System (BGS) are transmitting control pulses to the wing in a precise fashion. A very well-structured line concept with few main lines on three levels simplifies the handling and gives a good overview during groundhandling. The material mix is designed for long-term durability. To defy the harsh conditions of groundhandling and the alpine usage the wing was uniformly manufactured out of the high-quality top material Dokdo 30. Constructive measures in combinations with the material mix give the glider an optimized performance weight with very high form fidelity and long durability. sizes 16, 18, 20 and has a LTF-D certification. Let yourself be blown away by the dynamic trinity!